Minority shareholders own 31% of shares in Olainfarm. 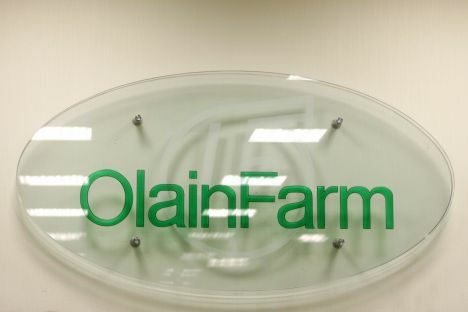 Maligin’s heirs say that Olainfarm’s largest shareholder – SIA Olmafarm – has asked Finance and Capital Market Commission to attend the 1 April extraordinary meeting of AS Olainfarm shareholders. «The Council of AS Olainfarm, which includes Pāvels Rebenoks, Irina Maligina, Mārtiņš Krieķis and Daina Sirlaka, is an illegally composed team and it does not represent interests of Maligins’ heirs or minority shareholders. This is why the council needs to be re-elected and proper corporate management in the company restored. We have had multiple confirmations that the council of AS Olainfarm has effectively taken over functions of the company’s management board,» say Saveļjeva and Baldere-Sildedze. As an example they mention that board member Milana Beļeviča was not allowed on premises of Olmafarm’s legal address following an order from the board of Olainfarm. BNN had previously reported that Beļeviča is concerned that Olainfarm has performed fictive transactions with Irina Maligina’s notice. On 1 April, Olainfarm’s extraordinary meeting will address changes to the composition of the council, wages for council members, as well as the dismissal of the audit committee, election of a new one and establishment of wages for new audit committee members. This shareholders meeting was organized based on a request submitted on 8 January by Baldere-Sisldedze and Saveļjeva. Olainfarm extraordinary meeting was requested because council members have lost the trust of majority shareholders. «The council of Olainfarm – especially Irina Maligina, Pāvels Rebenoks and Mārtiņš Krieķis – have lost the trust of the majority shareholders,» as mentioned in the announcement. In September 2018, Maligin’s daughters received their inheritance certificates. Their inheritance was officially divided but they still had to sign an agreement on its division. In November 2018, the two of them divided 27% of Olainfarm shares. Irina Maligina continued controlling Olmafarm, which owns 42.56% of Olainfarm shares. On 2 January 2019, changes to the composition of Olmafarm members were added, stating that since November 2018 the company’s owners include Saveļjeva (33.33%), Anna Emīlija Maligina (33.33%) and Maligins (33.33%).